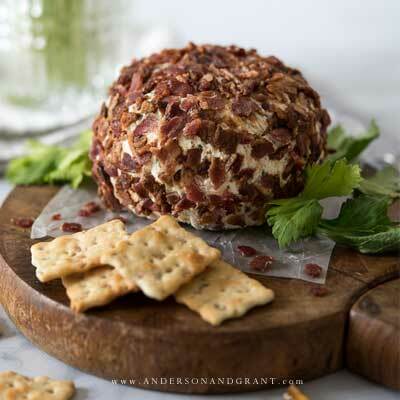 This creamy cheese ball made with fresh crumbled bacon and ranch seasoning makes a quick, easy, and delicious appetizer your guests are sure to enjoy. Although many people consider them "retro," I'm a big fan of serving cheese balls for snack when family is coming over. Whether they are prepared from scratch or with a pre-made mix (the bruschetta cheese ball mix is a favorite), it is an appetizer that is always easy to make, doesn't take much time, and can be customized on the flavors you're hungry for at the time. 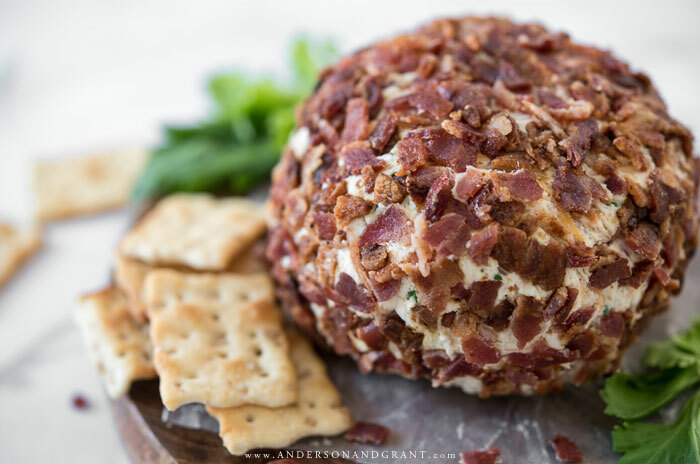 It is possible to get really creative with the ingredients you combine, like I did with my Olive Pecan Cheese Ball. My most popular combination, however, has been a mix of two of my favorite flavors - freshly cooked bacon and Hidden Valley Ranch Dressing. 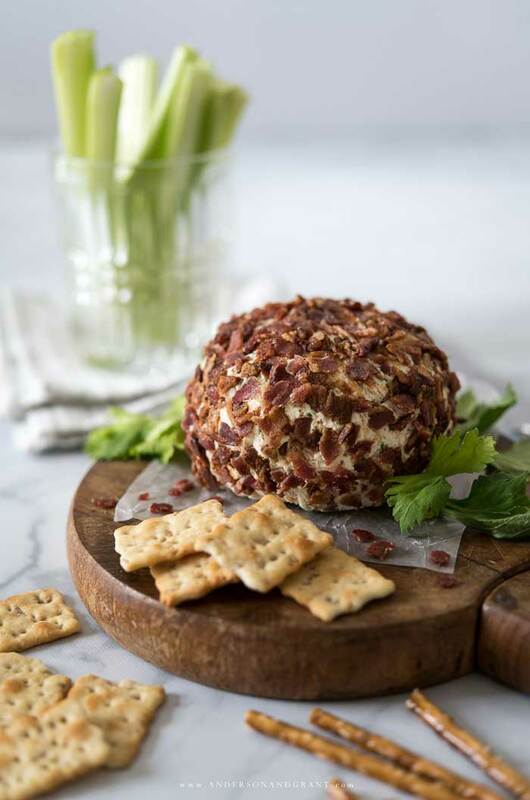 Although you can't make a cheese ball using liquid dressing, the seasoning packets to make the dressing are just the right amount of seasoning to make a flavorful cheese ball that is out of this world. 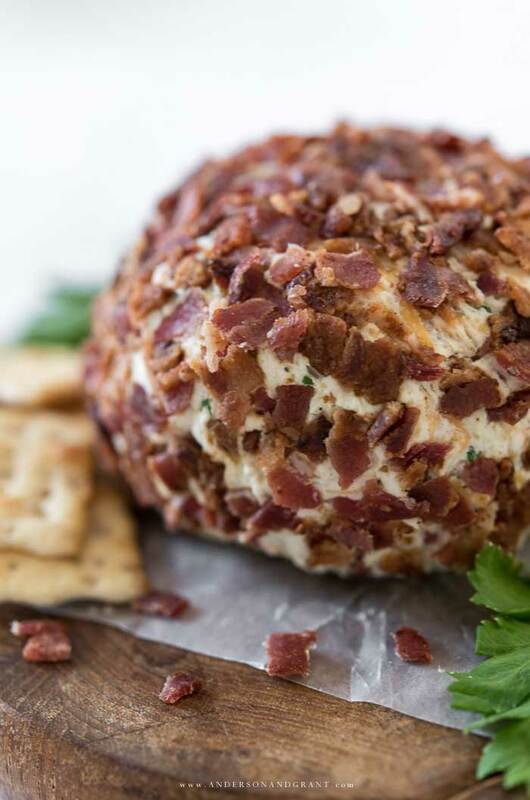 Whipping the softened cream cheese before adding the additional ingredients really helps to create a creamy texture with will mix well with the ingredients and does seem to help keep your cheese ball spreadable pretty much straight from the refrigerator. A lot of cheese balls need to sit for a short period of time before serving. This spread is perfect for serving on your favorite crackers, veggies like celery sticks, pretzels, or anything else you think would be enhanced by the bacon ranch combo. 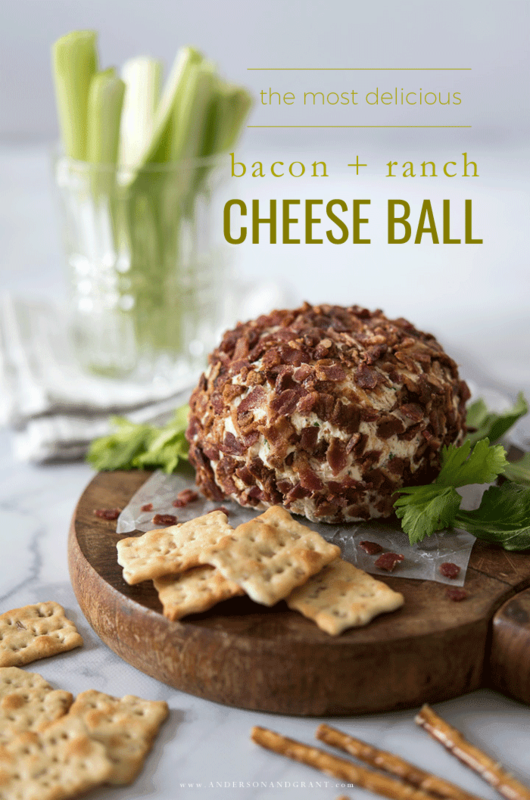 Regardless of what you serve alongside this bacon ranch cheese ball, your guests are sure to be begging for more. Cook 6 strips of bacon in a pan. Drain on a piece of paper towel and allow to cool. Then crumble into small bits. In a small mixing bowl, begin by using a hand mixer to whip the softened cream cheese for about one minute. This will give the cheese ball a creamy texture and eliminate any lumps. Add the ranch seasoning and blend it into the cream cheese. Fold in the shredded cheddar and half of the crumbled bacon until fully combined. Spoon the cream cheese mixture out onto a piece of plastic wrap and then form it into a ball. Place the cheese ball into the refrigerator for at least an hour to get firm. 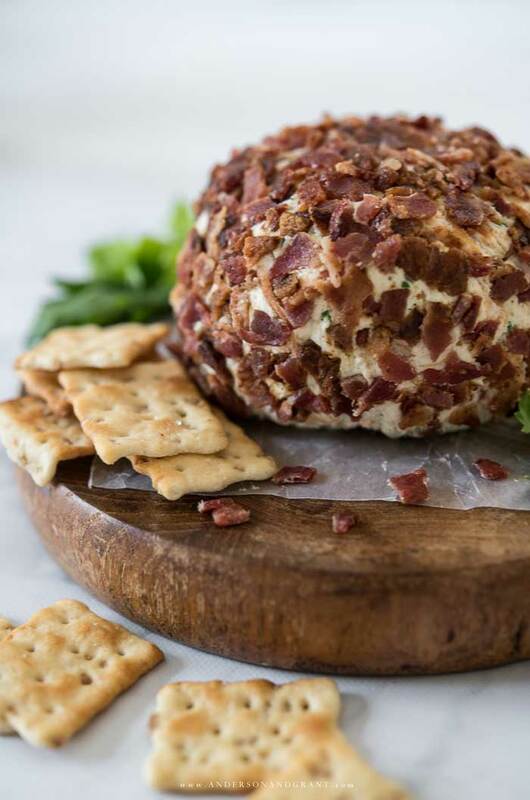 When the cheese ball is set, spread the remaining crumbled bacon out on a plate and roll the cheese ball over it completely coating the outside. Return it to the refrigerator until slightly before you're ready to serve. This post has been updated since it's original publish date August 14, 2013.